Could this be our most unique Commercial Property for Sale to date? 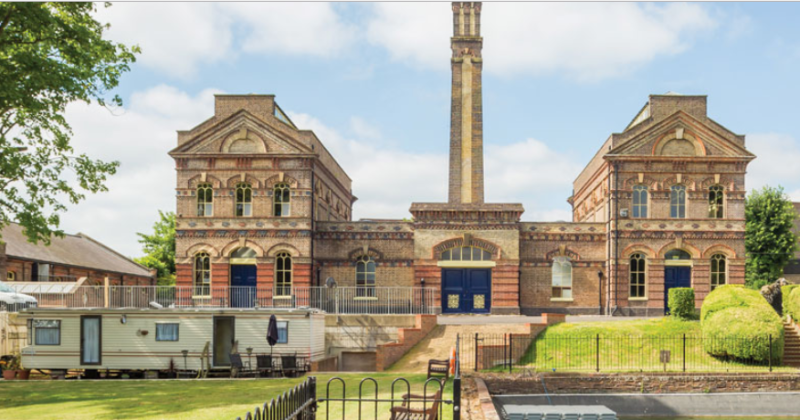 Brighton & Hove’ s unique British Engineerium is for sale, offering a rare opportunity to purchase one of the City’s most intriguing heritage assets and expand its potential. The extremely rare and unique opportunity to purchase a piece of Britain’s industrial history is now open to investors and occupiers. Oakley Property has been selected by the current owners as the exclusive agents to bring the British Engineerium buildings and site to the market. The Freehold of the estate is now for sale, with expressions of interest to be submitted before Friday 8th June, unless the building is sold prior. Our quest is to find a compassionate new owner, with commercial occupation and use ideas that can build on the recent massive financial investment that's been made by the current owners. The investments recently made have brought the site back into first-class condition and have extended the facilities to offer a wide range of commercial and leisure opportunities. The iconic 2.5 Acre estate is based in the Droveway, Hove and adjoins Hove Park the Greyhound Stadium, Waitrose and City Park, the city’s largest business park. The Engineerium will be familiar to locals as a landmark building on their route to school or work. Many will have visited the magnificent and awe-inspiring Victorian engineering and steam power museum in the past or know a little about its history. It was first erected in 1886 and has been sympathetically restored and extended by the British Engineerium Trust over the last 10 years. The buildings on sale offer a total area of 33,625 sq.ft and this includes several new buildings, extensions to the original gothic brick buildings, and accommodation in the engineer’s house. An imposing “Militarium” exhibition hall over 2 floors has been lavishly refurbished to allow the display of the fully working steam engines; and a high specification Gate House with ticket hall, shop and café have been created. Future plans for the site prior to the decision to sell included the idea to add a ‘Dr Volks’ train ride exploring the mystery of electricity, a restaurant and a 5D cinema. All of these buildings add to the potential of the site as a whole, to be used for a range of heritage, leisure or business use ideas. We consider that the buildings all have significant potential, subject to planning, for a wide range of mixed D1 institutional, D2 Leisure and B1 business uses. Expressions of interest can be made in writing to Chris Oakley, Oakley Property, 23 & 24 Marlborough Place, Brighton, BN1 1UB and a general information brochure can be requested from the dedicated website britishengineerium.co.uk. The website is full of fantastic photographs of the key areas of the site for anyone interested in the history of the buildings.